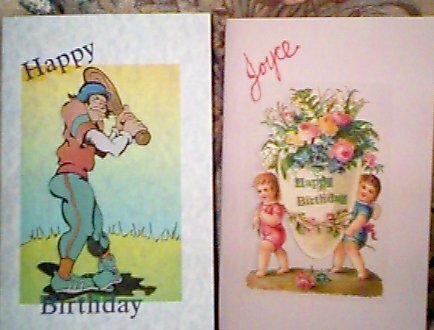 This is two 3-D cards that I made. Kind of hard to see the 3-d in these, but the bat tapers back, one leg is in front of the other, and the toe on the tennis shoe is forward. On the egg some flowers stand out and the closer parts of the cherubs stand out.